David was delighted in March to launch ‘The Graduate’ training restaurant and kitchen at the Southern Regional College in Newry. As a past pupil he welcomed the £600,000 investment, a refurbishment that will power new careers and business support in food, hospitality and tourism locally and much further afield. David congratulated the Southern Regional College on its passion for food and hospitality and helping students develop long-lasting, exciting careers that enable them to succeed in the work place with the essential skills and knowledge required to succeed in the hospitality and tourism sector. As a previous academic and lecturer David welcomes all support students and staff get from world class facilities and these new enhancements are remarkable. 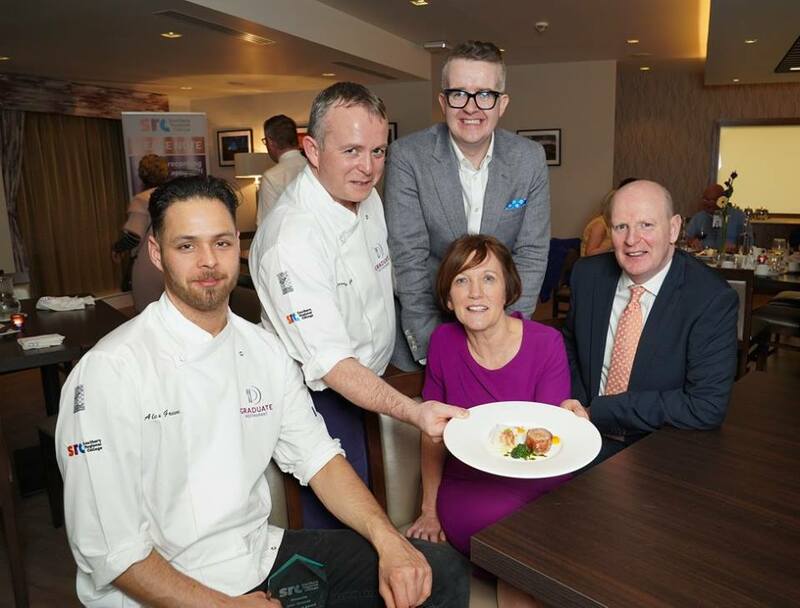 The Southern Regional College has strengthened its ability to power thousands of exciting careers and directly supporting award-winning businesses including Ireland’s largest hospitality group, Beannchor, Tayto NI, Linden Foods, ABP, Mourne Seafood and Yellow Door Deli. Also present was Michele Shirlow, the Chief Executive Officer at Food NI, with a membership of over 450 companies is dedicated to enhancing the reputation of Northern Ireland’s vibrant food and drink industry, Michele welcomed the latest investment. As host for the evening David really didn’t expect to be personally recognised for his long standing contribution to the hospitality industry, praised as a true example of hard work and determination. David was credited with utilising all his professionalism and experience to become a world class keynote speaker and entrepreneur. 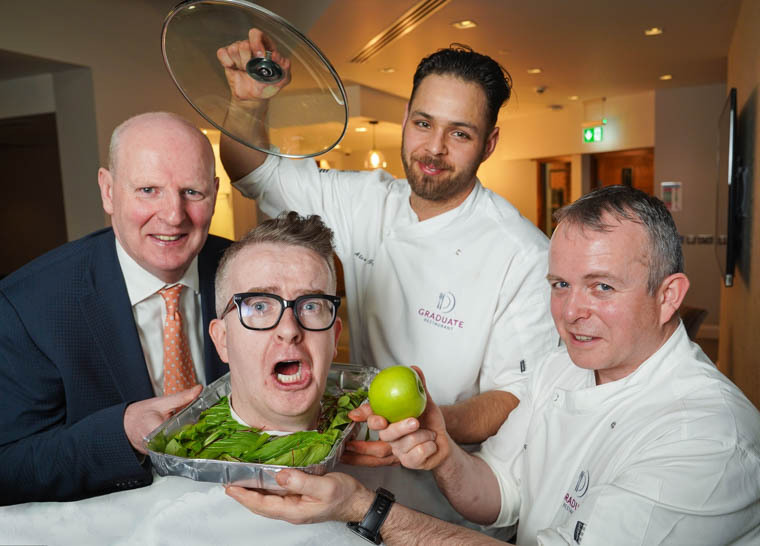 Delighted David was recognised along with Head chefs Alex Greene and Barry Smyth, who have both lead Michelin-starred local restaurants.